Ladies! I wanted to let you all know, in case you hadn’t heard, that the creator of “Miss Representation” (Jennifer Siebel Newsom) will be lecturing in Pruis Hall tomorrow. The event is free and it starts at 7:30 pm. She will be discussing “Miss Representation” and the influence of the media. Hope to see you all there! Categories Books! Movies! Music!, Feminism, Girl Power!! I LOVE THIS!!!! This is one of my most favorite singers Ed Sheeran commenting on the pressures that women face to look a certain way. Most guys expect girls to be perfect or fit a certain image. However, most guys aren’t perfect and expect women to accept their flaws. I hate this double standard and it’s only perpetuated by the media. More men should think like Ed! P.S. You should check out Ed’s music! He’s really good! Here’s one of my favorite songs of his :). Now that Christmas is so close, all the best Christmas/holiday movies are being shown on TV. This is my most favorite time of the year and I love these movies. I thought I’d take a minute and share my top 10 favorite Christmas movies! 10. Meet me in St. Louis: I absolutely adore this movie! I am a big fan of old Hollywood and Judy Garland is perfection in this movie! It’s not completely about Christmas but Judy does sing a magnificent rendition of “Have Yourself and Merry Little Christmas.” If you haven’t seen it, you need to! 9. The Polar Express: This is a book that I used to read almost every Christmas in as a child. The story is very touching and gets me in the Christmas spirit! The movie is really cute and has some super fun musical numbers! 8. A Christmas Story: This is a true classic! It’s extremely funny and set in Indiana of all places! My family and I watch this every Christmas Eve. 7. The Muppet’s Christmas Carol: This may seem silly but it’s still my favorite version of A Christmas Carol! It’s funny without of taking away from the meaning of the story. I also think Michael Caine is my favorite person to ever play Scrooge! 6. The Santa Clause: This is just a classic from my childhood! I remember getting this on VHS for Christmas and watching it over and over again! This is an excellent movie and Tim Allen is hilarious in it! 5. Love Actually: Again, this movie is not completely about Christmas but it’s excellent! It’s a romantic comedy with a ton of huge stars in it! I love watching this movie and it never get’s old! 4. Miracle of 34th Street: I absolutely adore this movie! It’s one of the most iconic Christmas movies! However, I only like the original black and white version. I don’ think any of the remakes measure up! 3. Elf: I don’t know a single person who doesn’t love this movie! I watch it multiple times during the Christmas season and even sometimes throughout the rest of the year! This movie is so funny and shows Will Ferrell at his best! 2. Rudolph: I love the claymation version of Rudolph! It just isn’t Christmas without it! My parent’s watched it as kids and so did I. It is a staple in my house during the holidays! 1. It’s a Wonderful Life: In my opinion, this is the greatest Christmas movie of all time! It makes me laugh and cry! It makes me appreciative of what I have and makes me remember what the true meaning of Christmas is. I am a huge Jimmy Stewart fan and he is just brilliant in this film. If you haven’t seen this movie then you need to make seeing a priority! It is excellent! So what are your favorite Christmas/Holiday films? I have found this article that corresponds to my previous post about “Teen Mom 2” star Jenelle Evans choosing a Ke$sha concert over handling her legal troubles. The popstar was recently asked about what she thought of Evans doing this. The singer responded by saying “She is the reason I do what I do. Go grrrl don’t let the man hold you down! We R Who We R!!! !” She is basically condoning the actions taken by Evans. This is very disturbing to me because Evans is not just some young girl that can do whatever she wants. She is a mother and her first responsibility and priority should be her child. It is really troubling to me that two starts like Evans and Ke$ha are condoning such irresponsible behavior. They are admired by many young girls and are seen as role models. This is such a bad example for young girls. What do you all think of this? Was Evans right in the way she handled her situation? Should singer Ke$ha have condoned this behavior? In a recent episode of “Teen Mom 2” teen mom Jenelle Evans is told that she will face jail time because of a violation of her probation. Evans had failed a drug test. Her probation officer wanted her to enter jail the same day as a concert that she had planned on going to. Jenelle tried to convince her lawyer to request another time for her to go to jail so she could attend the concert. Her lawyer told her that a concert was not a priority and that she should take the fact that she was facing jail time more seriously. Evans continued to argue that singer Ke$ha was her idol and that she could not miss the concert. Later in the next episode Evans failed another drug test and was immediately arrested. A friend posted bail for her. The next day she was urged by her lawyer to come see him immediately to go over her options. However, she did not and instead went to the Ke$ha concert. I thought this topic was interesting considering the presentation that a class member gave over shows such as Teen Mom. I think this is a clear example of how these girls can be bad role models for young people. There are more important things in life that a concert. Especially something like jail! In my opinion, her first priority should have been to figure out a way to avoid jail time so that she would not have to leave her child. What do you all think about this? Watch this video and let me know what you think! The author starts her piece by claiming that the word lesbian does not actually exist. There is not an accurate definition for a lesbian in many reliable sources. They don’t exist to some and are oppressed in society. She goes further to infer that Women do not exist in today’s society to an extent. “Woman” was a word that was meant to describe that we are the female of the species. However, there is some sexism involved in this because the species is termed man. She goes on to explain the different forms of oppression that lesbians and women in general have received throughout time. She tries to explain that she feels women will always be oppressed in some way. She feels that women are not valued for their individuality, character, and accomplishments. They do not receive credit for the things that they accomplish. She believes that women will always be perceived as inferior to men to an extent because men have the need to exert dominance. 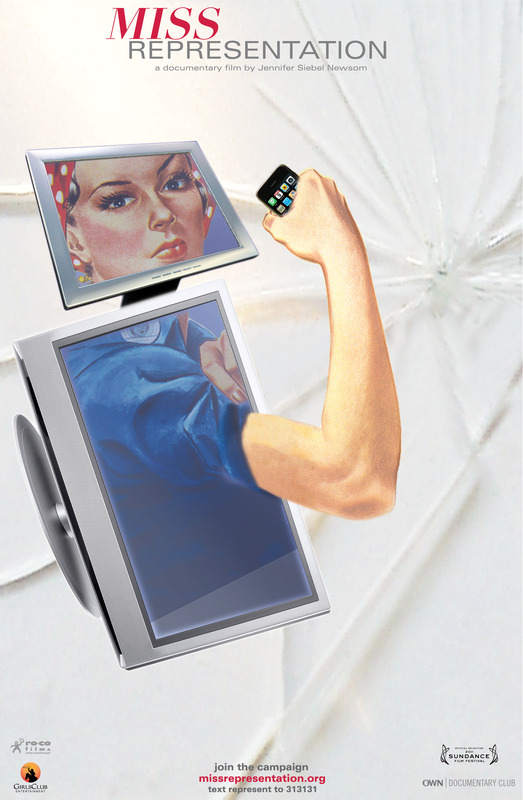 Women are always subjected to negative attention and ridicule in the media and by society. She claims that men believe that they cannot understand women and therefor only seem to recognize their physical existence. However, the author wants women to empower themselves and stand up for themselves. She believes they should fight the oppression. The activity performed in class reflects many of the aspects of the article. Those who were made to wait outside the room were oppressed (possibly the lesbians). They do not have voice that is taken seriously and they remain effectively unseen. They are not properly represented and are ignored. Those at the table represented those who are constantly scrutinized and the observers were the ones who sit back and watch this oppression happening and could possibly create controversy about the others. I think that women do fill these roles in everyday life. There are some women who do not empower themselves and have no voice. They let others dominate them and do not reach their full potential. There are also some women that are constantly under a spotlight and are critiqued. They feel pressure from others to be a certain way. They can sometimes have low self-esteem because of what others say about them. Some women also play the role of the observer. Women are very critical of other women. Women can sometimes be the ones to create the controversy about women. I think that these types of behaviors must stop in order to cease the oppression of women. If women do not ally together and respect each other, how can we expect men to respect us? Working together to empower women and stop this negative imagery of women is the only way to advance the position of women in society. Hello! I’m Brittany and I am a junior at Ball State University. I am a double major in political science and criminal justice. I am originally from Greenfield, IN and I am 21 years old. I am a member of Pi Beta Phi sorority. Q: Why are you proud to be a woman? 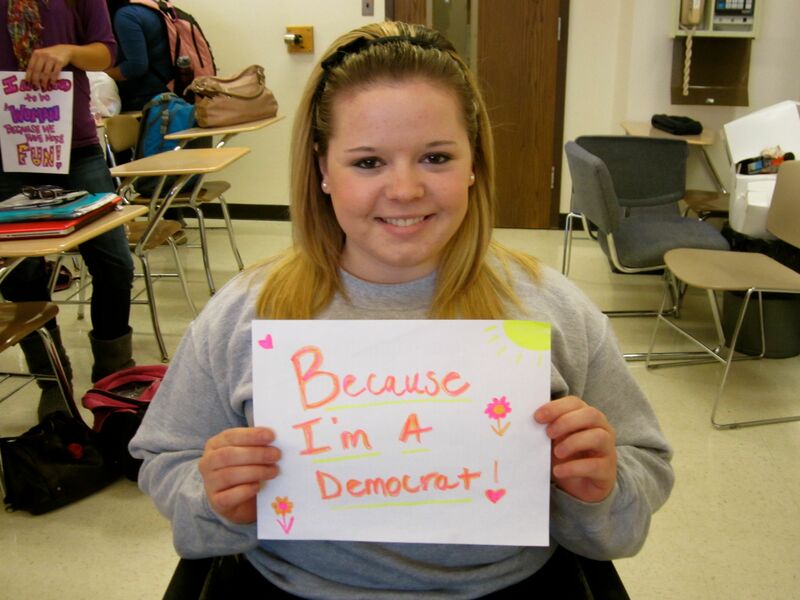 I am proud to be a woman who is a Democrat! 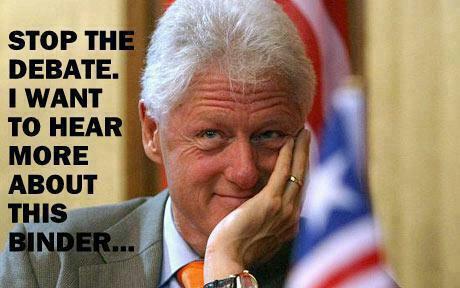 Democrats support women’s rights and equality. I know that my party will protect those rights. I am also proud to be a woman because women are strong! Women can do so many things! We can be business women and mothers. We can be be teachers, lawyers, doctors, etc. Women can do anything! We have come so far in the past century and I am so proud of the strides we have made towards gaining our complete equality! I also see it as an opportunity to influence and inspire others to be independent and leaders. I think that women have so much power to make significant change in the world. It makes me proud to be a woman. I would change the amount of intolerance in the world. I hate that so many people cannot respect the opinions of others. There is so much hate in the world for people that do not have the sames beliefs and values as others. I think that if we could put this all aside, we would be able to make positive changes to benefit everyone. It shouldn’t matter what your religion, gender, sexual preference, etc is. We should all treat other human beings with respect and dignity. Q: What are your future goals and aspirations? After graduating from BSU, I plan on going to law school (not sure where yet!). Eventually I would like to get into entertainment law. I also have goals to possibly serve as a judge and maybe even run for public office someday. I also plan to live in London, England for at least 6 months. I have wanted to do this for as long as I remember because I think it would be a great adventure and I have always been obsessed with English culture. After establishing myself in my career, I hope to have a family and raise them in a town like the one that I grew up in. This article was written by a female blogger and talks about her observations of things that have gone on during this presidential election. She does it in a very humorous manner. I think she also does a good job of summing up the kind of circus that this election has been! Give it a quick read! I promise it will make you laugh! I feel really similarly to her. Do you agree with her? What are your thoughts about this election? What have you learned? Have these issues made you want to become more politically involved? 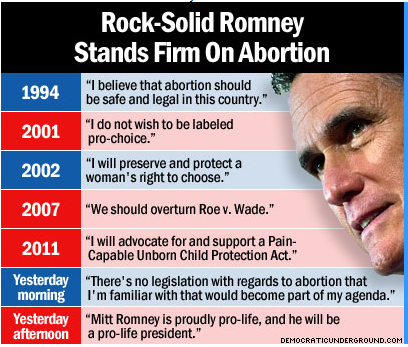 Here is a video of Mitt Romney speaking in 1994 about his abortion policy. I think it will be clear to you that it’s very different from what he says now… Personally I hate that he is changing his stance on so many issues. Even if I didn’t like Obama, there would be no way I could morally vote for Romney because, in my opinion, he lies. He panders to whatever audience he speaks to at the time. His policies change daily. It’s very frustrating as a voter! His stance on almost every policy has changed multiple times. What are your thoughts on this flip flopping? Do you find that this is a common practice among politicians in general?